Shop 1.5 Qt. 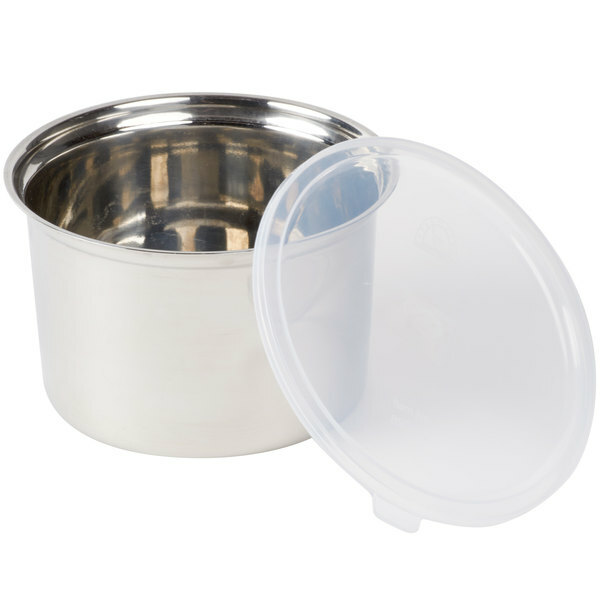 Stainless Steel Food Storage Container with Snap-On Plastic Lid. In stock at a low price and ready to ship same day from WebstaurantStore. This classy 1.5 qt stainless steel round salad crock will help you showcase all your salad choices with style and finesse. 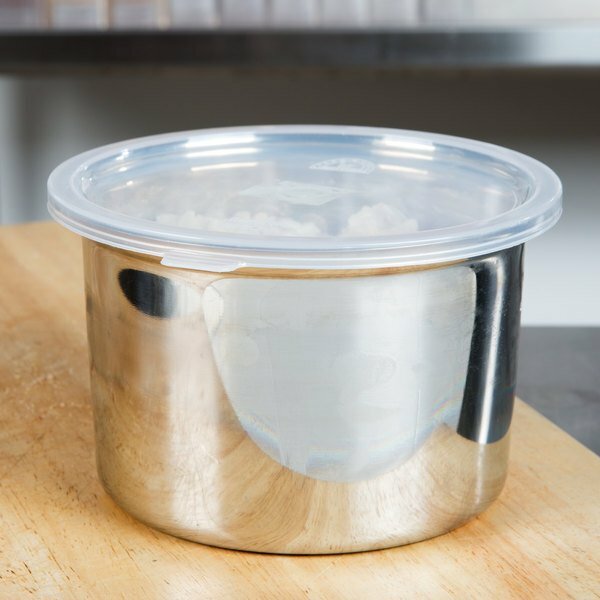 This stainless steel salad crock comes with a convenient snap-on plastic cover to help keep food fresh and delicious. 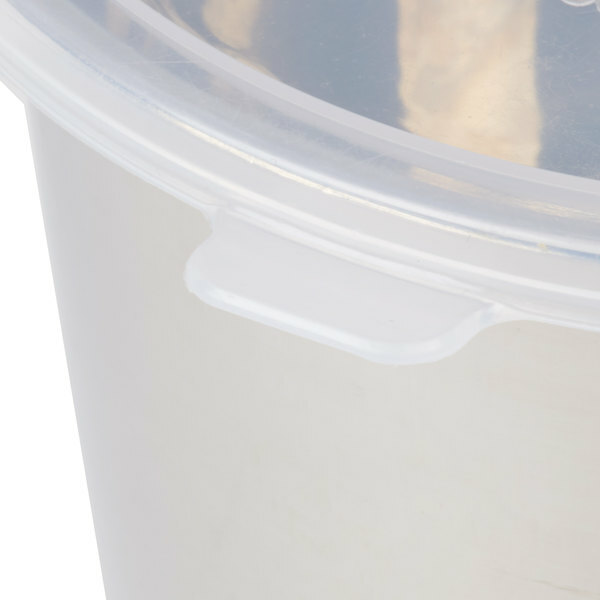 The translucent plastic cover also helps you easily identify the contents inside your salad crock. 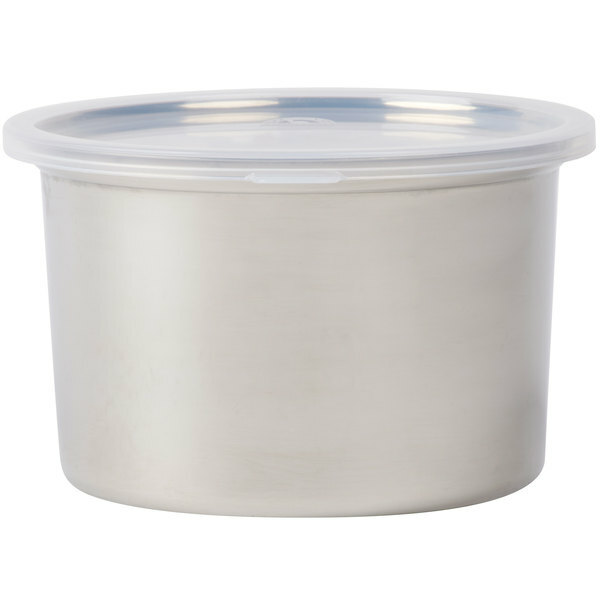 Due to their stainless steel construction, you can keep food colder longer, compared to traditional plastic crocks. 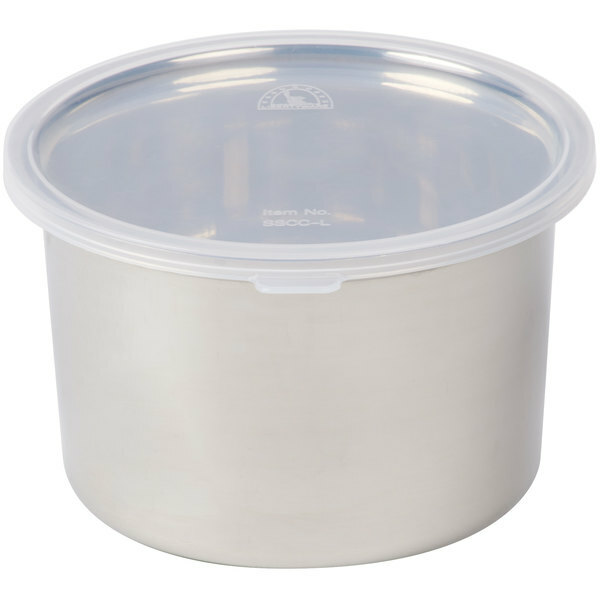 I love the 1.5 QT Stainless Steel Food Storage Container with Snap-On Plastic Lid. 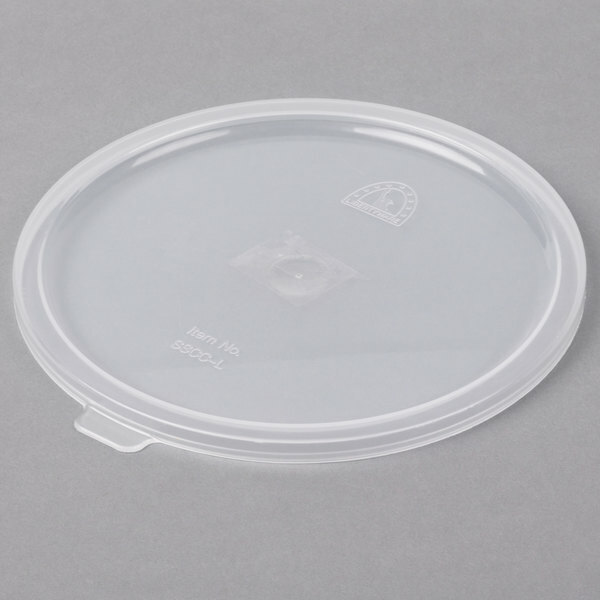 The quality on it is great and the dimensions perfect for my use. I particularly love the fact it has a wide opening. This provides easy access with a dinner spoon; no need to use a longer tong. The only reason I am rating the item 4 stars is because the rigid lid is SO DIFFICULT to remove once snapped in. After I manage to pry up one small opening, I force in a plastic spoon, which I can then run around the lip to get the entire lid removed. 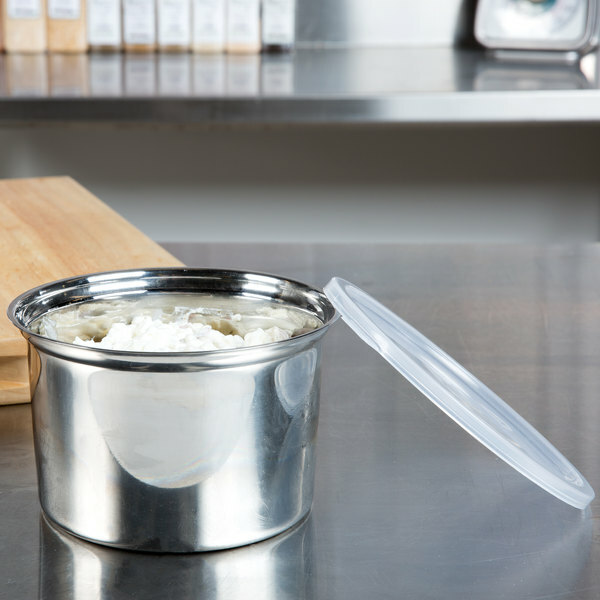 The 1.5 QT Stainless Steel Food Storage Container with Snap-On Plastic Lid is great for storing perishable and non-perishable food. 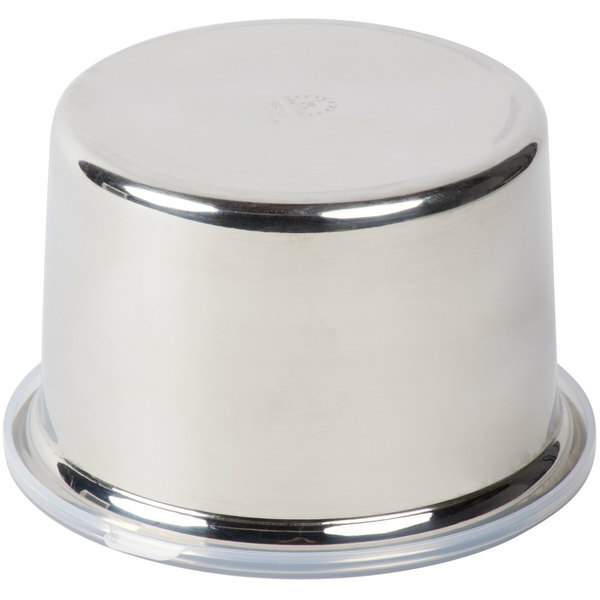 The stainless steel construction allows it to be durable and cleaned easily. Solid and well constructred. Easy to clean. Great for leftovers and for taking salads to work. Uses the ame lid as the 2.7 Qt crock.